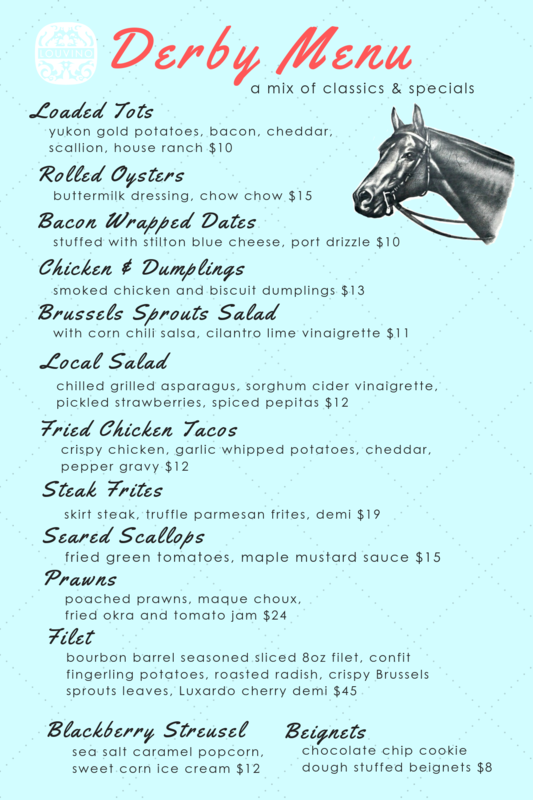 For Oaks and Derby Dinner service, LouVino Douglass Hills is only serving the below Derby Menu - a mix of LouVino Classics and Derby Specials! We will serve our normal Dinner Menu on Thurby. LouVino Douglass Hills will be open for Brunch on Thurby, Oaks & Derby! Regular Brunch Menu & 10a - 2p all three days. $2 Mimosas & HUGE Patio!